With plenty to choose from here are some tips. This will determine the type of board you need. Talk to us about your needs and whether you already have a board that can be converted. SLINGSHOT, NAISH, SUNOVA and AXIS Foilboards all have a dedicated range of Foil boards. There are many options on the market right now but here are the best for versatility and value. 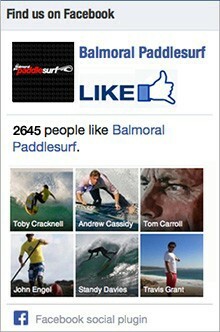 Foil boards have now developed to point where they are way more efficient that a normal SUP or Surfboard. Rocker, outline, rail shape and construction all hamper the efficient of the board to both convert and foil. Foiling is hard enough without battling equipment that is not purpose built. Certain boards with the right outline and rocker do convert well. If you decide to go down this path there are two options. 1. FOIL MOUNT. The quick/cheap way to convert a board. Be willing to sacrifice your board however as the bottom can de-laminate due to the forces involved. Cost: FOIL MOUNT – Ridge Mount $280. 2.RETRO FIT. You can retro fit most boards with either a TUTTLE BOX or TWIN (10″) BOXES. The cost ranges from $400 – $450. We recommend that if you go down this path, you retro fit a board that you are most comfortable on. You need a bit of extra volume to carry both you and the foil and handle rough water. These are the first boards we rode. Perfect for getting started. 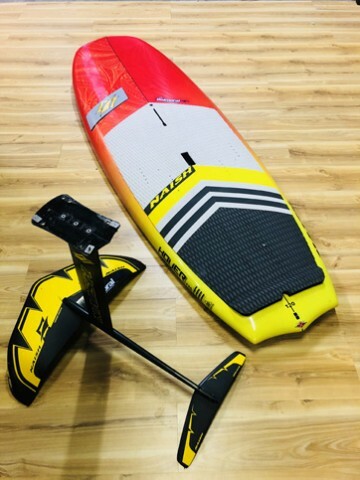 Super Stable board for both SUP surfing and SUP Foiling. 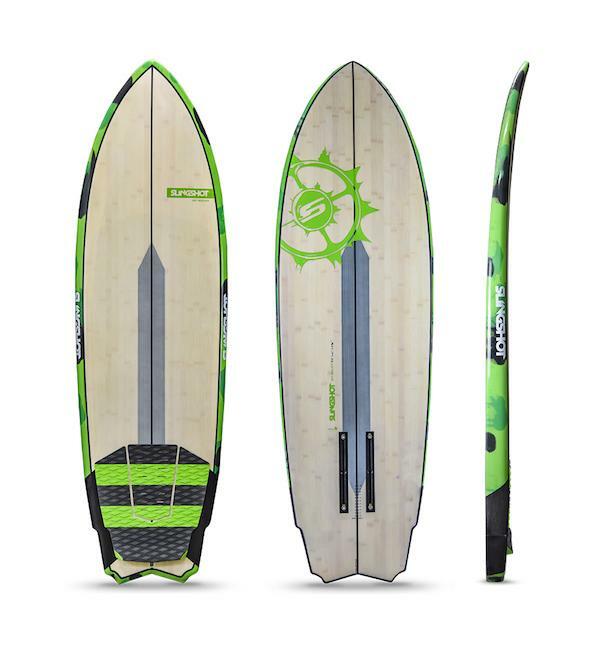 Super Stable, ripping board for both SUP surfing and SUP Foiling. 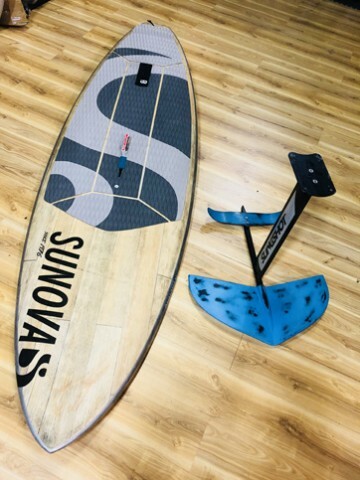 This board is super stable as both a SUP board and a Foil board. Perfect for learning and progressing. 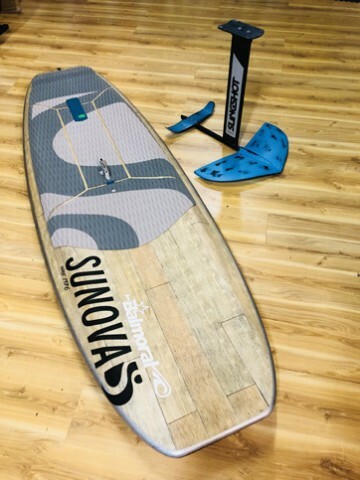 The SUNOVA ECO Foilboard is two boards one – a 5 fin SUP board and a Foil board. This is a super versatile board that takes ANY Foil as it offers both a Twin box and Tuttle foil mount. 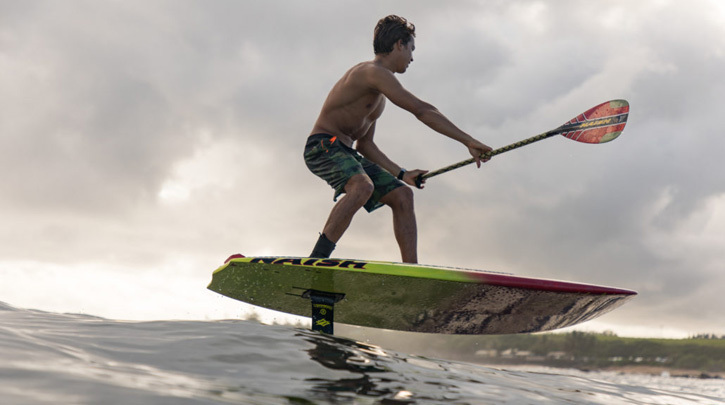 Naish’s new surf foilboards give you a piece of the endless summer by harnessing the power of the ocean. Equipped with the Thrust Surf foil, the Hover 5’6” Surf Soft Top provides a near limitless ride that is fully customisable to rider preference with a quick tune of the adjustable stabilizer. 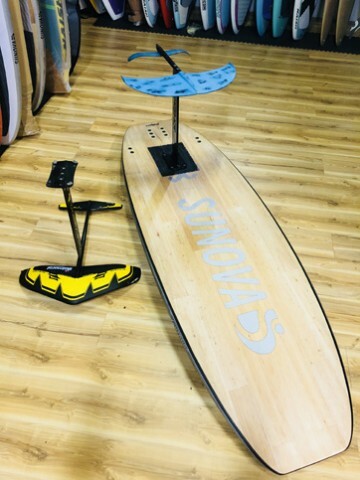 Built for super smooth carving and forgiving planing, this board generates the lift you need to get going quickly while maintaining a solid sweet spot for stability while carving, gliding and pumping above the water’s surface. 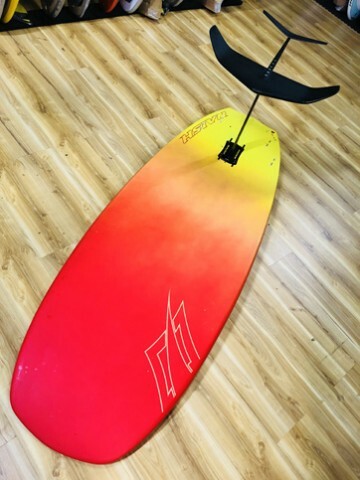 This board is designed specifically for the unique dynamics and forces of foiling will mean the difference between success and failure. 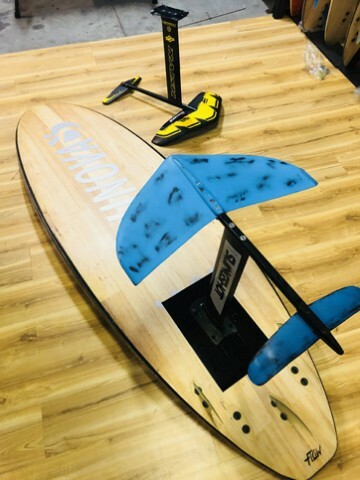 Developed by Slingshot’s Hawaii Surf Division, the 2018 Slingshot Skywalker Surf Foilboard offers a BLOCK TAIL design. The board paddles fast, and is specifically designed to enhance early take off. The wave literally can push you onto the foil. The concave deck provides stability and control when paddling. The Sky Walker has reinforced key locations to handle the unique forces foiling has on your board, which is important if you want to avoid donating your expensive foil to the bottom of the ocean.